Welcome home to this beautiful Mediterranean home; perfect for family living and entertaining! You will fall in love with this popular Palazzo floorplan with the master bedroom conveniently located on the main floor! Beautifully landscaped and perfect for entertaining, this 16,126 sq. ft. (Approx.) homesite can be yours to enjoy under the trellis covered patio, in front of the cozy outdoor fireplace or for playing outdoor games! The gated entry courtyard invites you to the dramatic entryway adjoining the formal dining room and formal living room. Continue to the popular informal eating area off the kitchen or the great room with a relaxing corner fireplace. The gourmet kitchen boasts a large center island, granite counter tops and stainless-steel appliances. On the main level you will also find an en-suite office with a separate side entrance which opens onto the gated front courtyard. The impressive staircase leads to 2 large en-suite bedrooms upstairs, separated by a large open loft complete with French doors and balcony; perfect for children or guests! 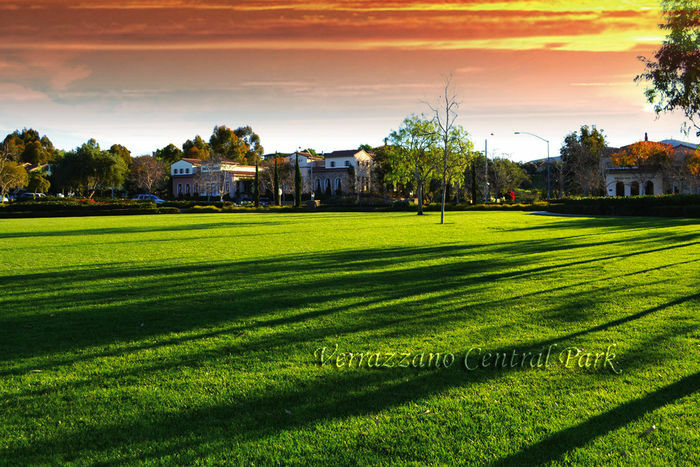 Highly acclaimed Poway School District, low HOA fees, and three spacious parks nestled between the luxury communities of Rancho Santa Fe and Santaluz are just added benefits! Verrazzano: The Award Winning Community!